In some cases, it may be beneficial to merge multiple sprites into one atlas, but maintaining different materials on these sprites. One example of this is when importing tilesets for a tile map - a majority of them may be solid and there could be significant GPU gains to be had by simply assigning a solid shader to these sprites. Open the sprite collection editor. Click on "Settings" to bring up the settings overlay. Click on "+" next to the materials list as shown below. This will duplicate the material and save a copy in the same directory. 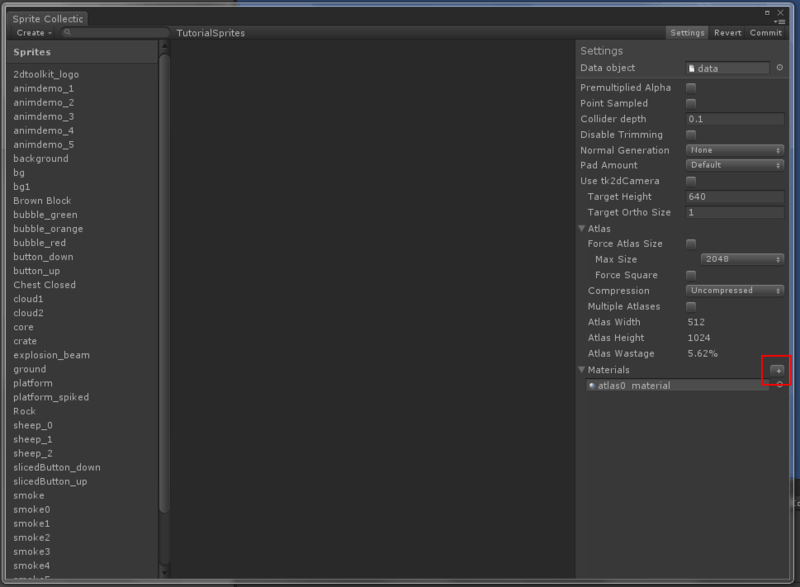 You can then click on this material and change the shader on it, etc. You can create as many duplicates as you like. To delete a copied material, click on the material in the settings overlay once, and press backspace/delete on the keyboard. 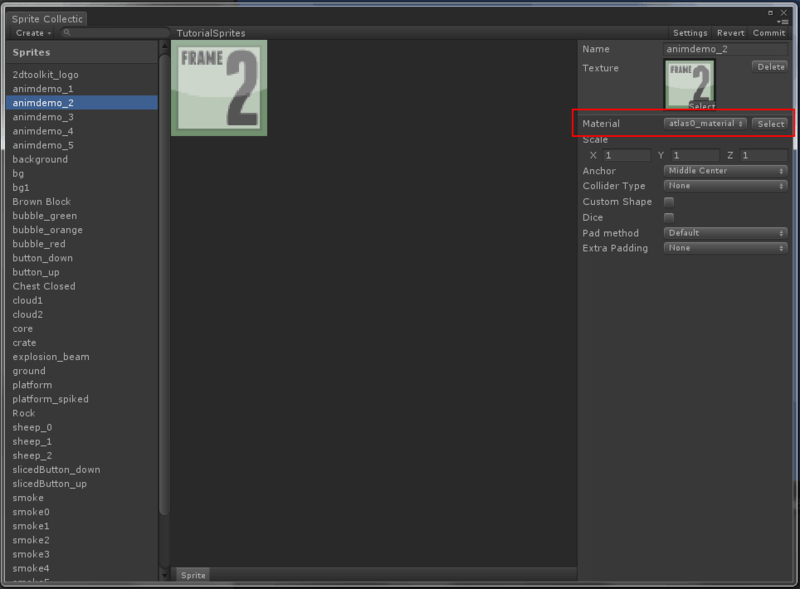 Now when editing sprites, you should see a "Material" dropdown in the inspector. You can change materials on one or more sprites this way. Clicking on the "Select" button next to the material drop-down will multi-select all sprites using this material.